A principal is put on leave after harassment comments, Meyer Turku improves work security and one American Finn stands her ground. This Wednesday papers round up diverse news, including a public case of misconduct that benched one Ostrobothnian school principal awaiting further deliberation. Helsingin Sanomat reports that the principal of Kärsämäki school in Northern Ostrobothnia, Tuomo Pesonen "belittled" sexual harassment in an interview by Yle's MOT programme. He went on record to compare high levels of sexual harassment to a Finnish school world staple. "Well, is school food good or bad? Things like that can be improved to a point. The rest you just have to deal with," were Pesonen's brazen remarks, which he follows with: "Not that I condone sexual harassment, but that's just the way it is." The school's board made a snap decision to place principal Pesonen on immediate hiatus following the comments, which municipal leader Esa Jussila says Northern Ostrobothnia condemns unequivocally. "There was no discussion. We don't want this kind of attitude anywhere," Jussila says in HS. The scandal follows an Yle survey that gathered responses from 344 secondary school students, most of whom reported experiencing sexual harassment at school. The municipality announced that it would crack down on sexual harassment of all kinds in its schools to ensure safe and healthy learning environments. Meanwhile local daily Turun Sanomat reports that the Meyer shipyard in the Turku harbour has implemented a new system that the company says it hopes will improve employee satisfaction and curb unfair practices. Workers can now complain or otherwise make known their concerns through an anonymous and multilingual tip system that is meant to bring bad policies to light as fast as possible. "The information then makes its way to a separate unit whose members decide how to best respond," says Meyer Turku communications manager Tapani Mylly. "This is our way of improving our self-monitoring." The new system is in response to severe problems that work safety audits by the Regional State Administrative Services have uncovered on several occasions. The Industrial Union's regional chief Jari Kramsu says that the docks are unfortunately rife with workers' rights abuses such as unpaid salaries. "Workers on the lower tiers of the organisation may end up signing contracts that do not comply with legislation, and so are automatically void," Kramsu says in TS. "And yet these unlawful contracts are typically used in reference to things like working hours." But even with other documented infractions such as foreign workers being hoodwinked with contracts they are not familiar with, inspector Kristiina Linna says in the paper that the situation has improved. "We haven't had resources to do inspections over the summer, but these issues have improved over the years," she says. 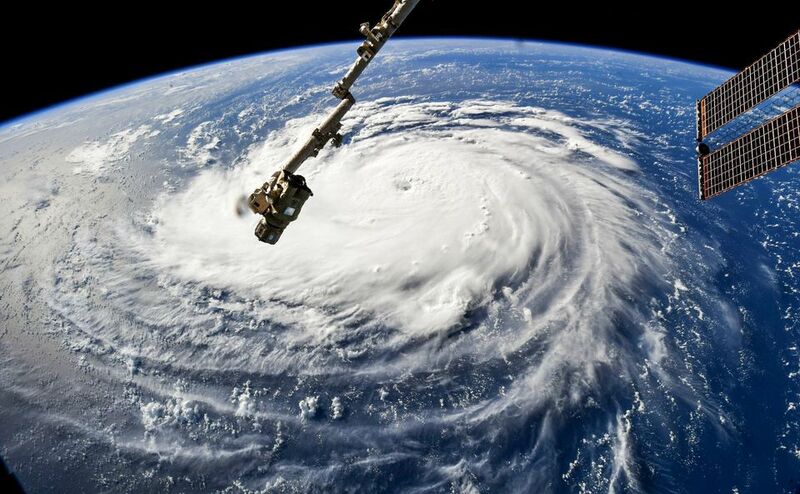 Finally tabloid Ilta-Sanomat runs a brief insert with South Carolina resident and expatriate Finn Minna French, who says her family will be ignoring the governor's evacuation order and staying in their coastal home as major hurricane Florence hits the east coast on Wednesday. The French family owns and is currently house-sitting several domestic animals including dogs and parrots, which they say would not be welcome in a hotel. "People can stay at their own risk. If our house lifts off, no one can help us. But this neighbourhood has seen pretty big storms before," French says in IS. That opinion is not echoed by fellow Finn and local student Ilkka Malmi, who says people are panicking over the empty grocery store shelves and water scarcity. "I live on the ground floor, so I'll be visiting a friend who lives one floor higher," Malmi says. "I don't think the floods will reach that high." More than a million people have been evacuated from South Carolina ahead of the storm that IS headlines call a "monster". Finn in Florida: "Feels like we're standing in the shower"